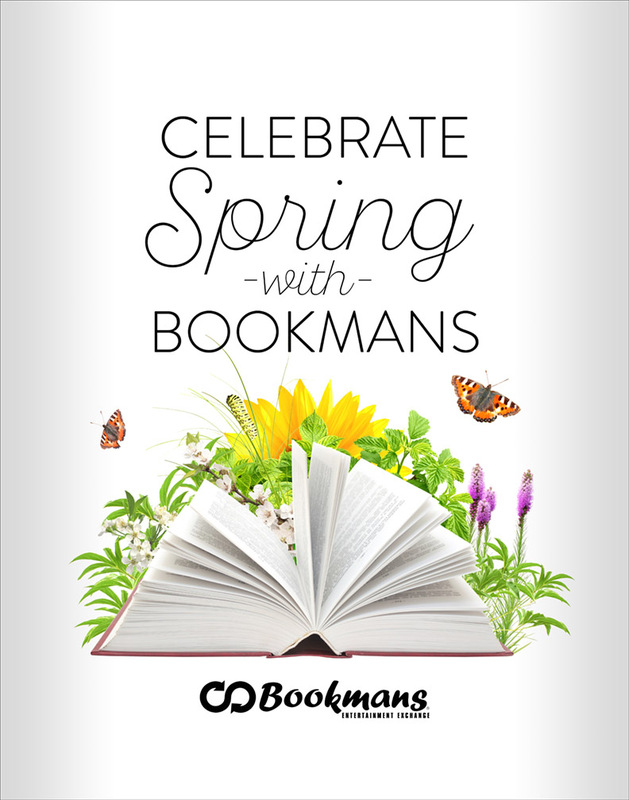 Home > Uncategorized > Celebrate Spring with Bookmans this March! Are you as excited as we are to see A Wrinkle in Time finally adapted to the big screen? Celebrate in style with a Bookmans Flagstaff A Wrinkle in Time Giveaway. Our original Backroom Book Club was such a success that we’re expanding! Bookmans Northwest will be having their first meeting of their own Backroom Book Club on March 4. Be there in person to help choose which books the club will read. Catch up with the New Adult Book Club every second Wednesday at 6:30 at Bookmans Midtown! Bookmans is proud be a Will Eisner Week 2018 event spot! All of our stores from Tucson to Flagstaff are participating, so all you comic book and graphic novel lovers out there, be sure to swing by your local Bookmans March 1 through 7 for cosplay contests, graphic novel panels, and even a comic book-themed Storytime! Feeling lucky? Find a four-leaf clover and receive a discount at the St. Patrick’s Day Hunt. Easter is coming early and that means that the Easter Bunny will be afoot in March. Find where that Bookmans-loving bunny has hidden eggs at our Easter Egg Hunt this March 31 at Bookmans Northwest. After the HUGE success of our ukulele workshop, ukulele events are popping up at more Bookmans stores! Join Bookmans Phoenix for the Ukulele Jamboree or strum it out in Mesa at our Ukulele Party. Paint Nites at Bookmans East have been positively packed – we even had news coverage of our last painting event! Sign up for the next Paint Nite this March and snag a seat at the hottest free painting event in town. Email eastevents@bookmans.com and let the team know how many people will be in your painting party. It’s fun for the whole family! Last but certainly not least, Tucson will be bouncing with literary cheer as the annual Tucson Festival of Books kicks into high-gear! Be sure to stop by the Bookmans tent (Booth #450) on March 10 and 11 and browse our signature orange shelves for deals on everything, including books from your favorite visiting authors. Keep and eye out for Book Man running around in his classic red cape and enjoy some fun with your favorite local bookstore! There’s so much more in store this March, so follow Bookmans on social media and never miss a moment!